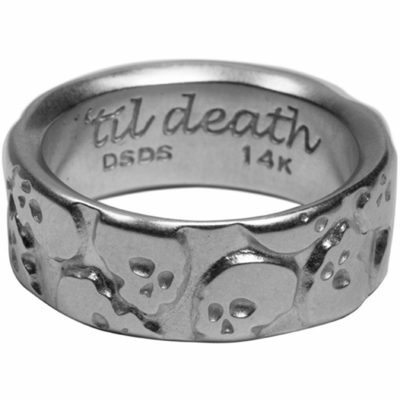 Looking for a wedding ring that is slightly less conventional? So were we! These are the rings that I made for my wedding. 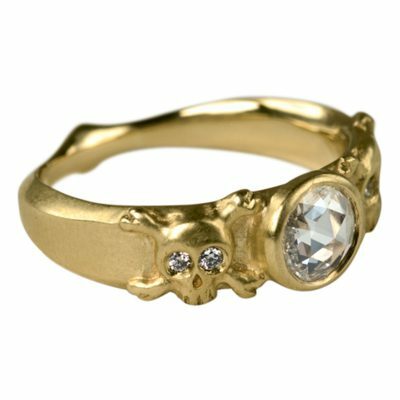 Originally intended as a one of a kind set, I didn’t think people would be interested in skull wedding rings. After some convincing, my wife talked me into selling them. This is the part where I admit she was right. Over the years these rings have become some of the most popular jewelry I make. 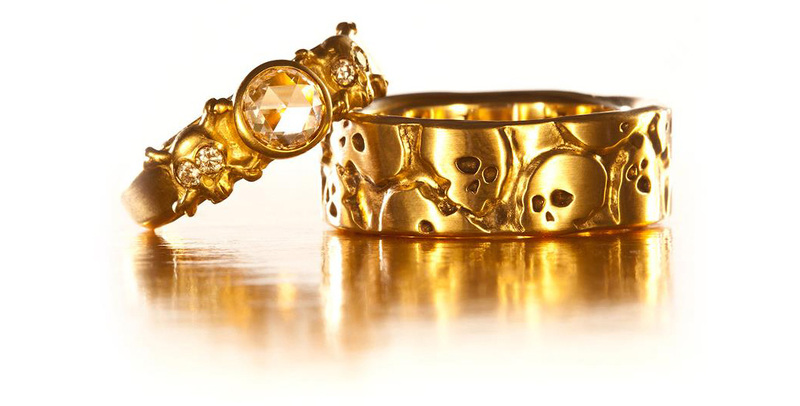 When I made these rings, skull rings were limited to the over the top and almost comical. We wanted something slightly more subdued. Instead of screaming “heavy metal” from a distance they are a subtle nod to the unorthodox. These rings utilize a technique not traditionally used in jewelry making that I realized I could incorporate into my process. There is no 3D printing involved in the band, in fact the original was made before 3D printing was so ubiquitous in the jewelry industry. Almost anyone can churn out 3D jewelry, these rings are proudly handmade.